Northern Fine Scale Gauge 1 rolling stock kits feature highly detailed and historically accurate designs faithfully executed in durable and weather-resistant injection-moulded polystyrene. Spring buffers made from nylon. Choice of 4 patterns of wheel with metal tyres, (spoked, split spoked, 3 hole or coach). "W" irons (axleguards) fitted with nylon bearings for very free running. Livery: your choice of Private Owner (from our range, view options here on the web site), GWR, SR, LNER, LMS or BR. The close-up image below shows the details of the brake system on a seven-plank wagon. Our wagons, tank wagons and vans come complete (wheels & transfers are included), you will only need paint and glue. We also recommend a supply of both Microset and Microsol for applying transfers (Decals). Coke was a by-product of municipal gasworks throughout Britain. It could be transported in wagons modified with extension rails designed to increase their capacity. Adding coke rails to our 7-plank wagon kit produces a vehicle typical of those in service. Seven Plank Wagons are modelled on those used in Britain as a large-size railway bulk carriers. Both the railway companies and private owners maintained large fleets. Northern Fine Scale Gauge 1 Rectangular Tank Wagons are typical of those seen on the railways from the 1800's through to the 1970's . A frequent if unglamorous sight, they were usually covered in a coat of the 10 – 12 ton load of tar or heavy oil that they carried. Single Bolster Wagons were used as loose-coupled pairs and runners. For longer loads a runner/match single bolster wagon would be used in conjunction with a twin bolster wagon. Northern Fine Scale have introduced a rake of three South Eastern & Chatham and Southern Railway panelled ready-to-run coaches as a load for the Wainwright "D" Class, or "C" Class locomotives. We supply both an LNER 12-ton Van and the LNER Ventilated Fruit Van. Both types of van were built in large numbers and operated throughout the UK from the 1920's well into the 1960's. 9 and 10 foot versions are available. 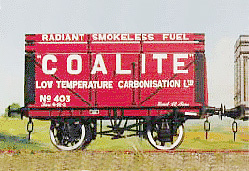 Peaked Roof Wagons were commonly used to carry salt, lime and also coal and china clay. Ready-to-run Wagons, Rectangular Tank Wagons, and Vans are available (fully painted with your choice of transfers applied). 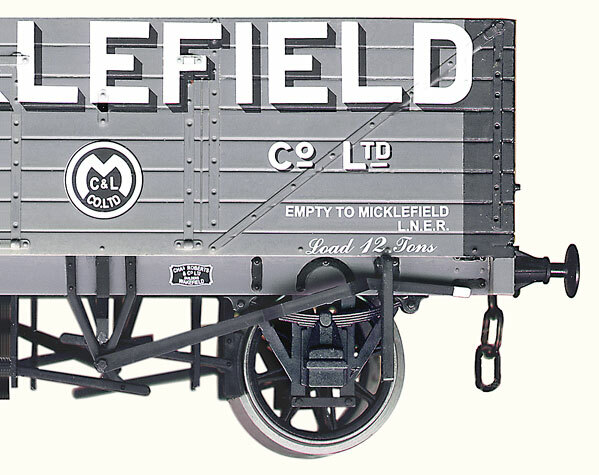 We also supply, at additional cost, ready-to-run wagons with a hand-crafted weathered finish. Northern Fine Scale supplies a wide range of components to Gauge 1 enthusiasts wishing to construct their own rolling stock.